Species name meaning 'flowering on the stem'. The flowering (pinkish-creamish) and fruiting (red, exposing black seeds on orange background when capsules open) along the whole stem is the easiest character. When not flowering the scars of previous flowering events can be seen on the trunk. Its a intermediate sized tree with buttresses. 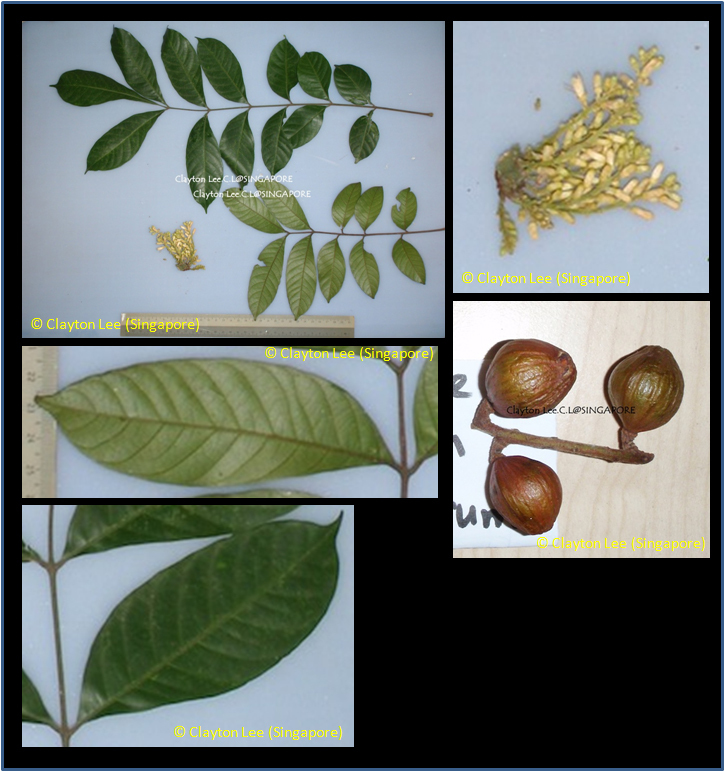 Leaves are placed alternate (no stipules) and are compound with terminal leaflet. Rain forest to 1500 m altitude, including ridge forest, freshwater swamp forest and heath forest. A common tree throughout the lowland forests particularly in Malaya and Sarawak, where it is the most conspicuous of all Meliaceae on account of its striking cauliflory. According to Corner, Wayside Trees 1 (1940) 462, "at certain times of the year, the Reservoir Jungle in Singapore is perfumed of an evening with the heavy fragrance of the flowers which develop simultaneously on all the trees". Indochina into Peninsular Malaysia, Sumatra, Borneo and the Philippines (Palawan). Borneo: Banga, Ngasakra, Uchong chit (Iban). Malaysia: Dedali, Langga ayer, Popok parong.